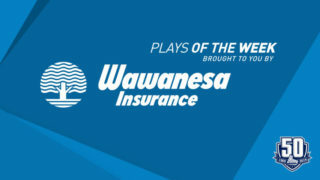 The final Ultramar Player of the Week for the 2018-19 regular season is Chicoutimi Saguenéens winger Vladislav Kotkov. 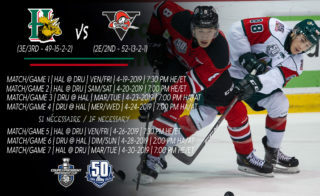 In three games, the Moscow, Russia native scored five goals and added two assists as the Saguenéens entered the postseason on a seven-game winning streak. On Wednesday night in Chicoutimi, Kotkov scored his 30th goal of the season to open the scoring for the Saguenéens. 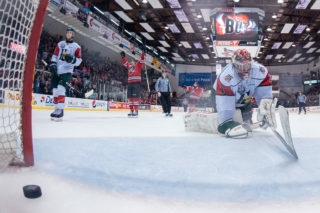 He also chipped in with an assist on the insurance goal in Chicoutimi’s 3-1 victory over the Central Division Champion Drummondville Voltigeurs. 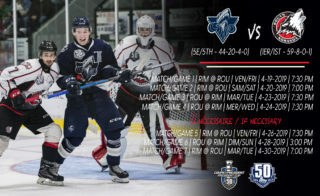 On Friday night in Chicoutimi, the second-year forward scored twice, including his fifth game winning tally of the campaign, and added an assist as the Saguenéens defeated the Shawinigan Cataractes 5-3. Kotkov, who also finished the night with a +3 rating, was named the second star of the contest. 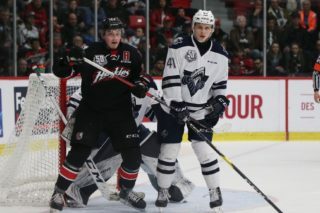 Closing out the regular season on Saturday afternoon in Quebec, Kotkov once again produced a pair of goals, the second of which began a three-goal, third period rally in the Saguenéens’ 6-4 come-from-behind triumph over the Remparts. 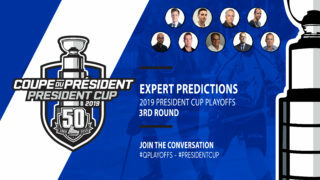 Kotkov concluded the 2018-19 regular season with a team leading 34 goals and 61 points in 65 games. He also finished first on the club in +/- (+31), powerplay goals (10) and shots on goal (176). Selected 32nd overall by the Saguenéens in the 2017 CHL Import Draft, Kotkov signed an entry level contract with the San Jose Sharks in 2018.